Some were expected and some were unexpected, but all of the Twins' slew of roster moves skew toward veteran mediocrity. Jordan Schafer is the starting center fielder and Shane Robinson is his backup, with both Aaron Hicks and Eddie Rosario sent to Triple-A. 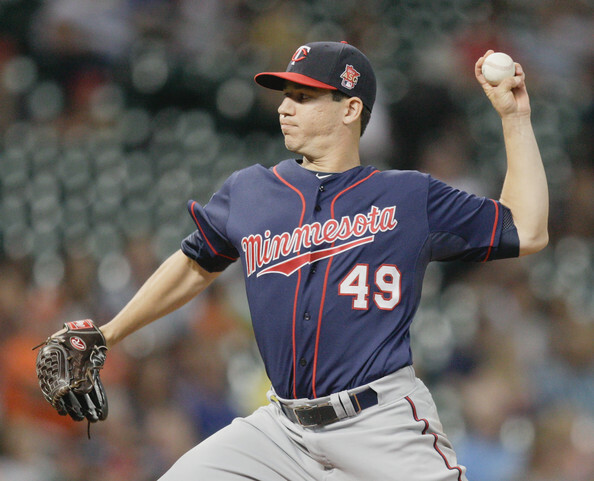 Tommy Milone is the fifth starter, Mike Pelfrey stays on the roster as a reliever, and Blaine Boyer also has a bullpen spot, with Trevor May, Alex Meyer, and Michael Tonkin all sent back at Triple-A. When viewed individually the moves have reasonable explanations, but collectively they signal that despite the switch from Ron Gardenhire to Paul Molitor the Twins still fetishize age and experience even when it comes attached to poor performances and nonexistent upside. This is a team projected to finish in last place following four straight 90-loss seasons and they're still doing whatever they can to delay fully turning the keys over to the prospects they've been stockpiling. Two years ago the Twins traded away Denard Span and Ben Revere in the same offseason and handed Hicks the center field job at age 23 and with zero experience at Triple-A. He'd played very well that spring to help convince them it was the right move, but flopped once the games counted and was one of the worst rookies in Twins history. Last season, following another strong spring performance, the Twins handed Hicks the center field job again and he again struggled. This time around it seemed like Hicks had the inside track on a third crack at the Opening Day gig, in part because Molitor seemed at least a little bit less fed up with Hicks than Gardenhire had been and in part because the alternatives were lacking. But when Hicks hit .206 this spring and failed to make some plays defensively they decided not to bother, demoting him back to Rochester while splitting center field between a 28-year-old waiver claim and a 30-year-old minor-league signing. Schafer will get the bulk of the starts in center field after playing well in 41 games last year when the Twins claimed him off waivers from the Braves. Matching that .285/.345/.362 line while stealing bases and playing decent defense would make Schafer a solid regular, but the problem is that there's nothing in his track record to suggest he's anywhere near that capable offensively and his defensive numbers are sub par in center field. Schafer has 1,400 plate appearances in the majors and has hit .229/.311/.310 with 360 strikeouts and 142 walks. And he was even worse at Triple-A, hitting .225/.278/.294 with 95 strikeouts and 35 walks in 120 games. He's been particularly helpless against left-handed pitching, hitting .167 off them as a big leaguer. If you're going to play Schafer regularly it should be only versus right-handed pitching, so in theory a platoon with the right-handed-hitting Robinson makes sense. Robinson can't hit either, unfortunately. He's a .231/.303/.308 hitter in 452 plate appearances in the majors and a .266/.331/.377 hitter in 1,130 plate appearances at Triple-A. Spotting him only versus lefties would help Robinson in the same way that, say, only eating McDonald's twice a week would help a diet. If you're going to use Schafer and Robinson a righty/lefty platoon makes sense, but it's still probably going to be a really bad platoon. Hicks' remaining window of opportunity with the Twins was narrow to begin with because they've got the best outfield prospect in baseball, Byron Buxton, starting the year at Double-A, but the Twins couldn't even stand to let Hicks keep the position warm until Buxton is ready. That doesn't mean Hicks is a totally lost cause any more than handing him the Opening Day job in 2013 (or 2014) meant he was totally ready to thrive, but it does mean he might be done in Minnesota. As more and more people jump on the "Hicks just can't hit MLB pitching" bandwagon, it's worth noting that he already has hit MLB pitching as long as it's left-handed. 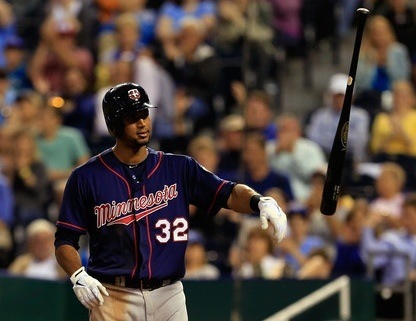 Hicks has a .758 career OPS off lefties, which is higher than, among others, Joe Mauer and Justin Morneau. And the switch-hitter had similar splits in the minors. If there's any role for which Hicks is actually suited it's platooning against lefties, but instead the Twins will use Robinson in that same role. For all the talk of Rosario having an impressive spring training he ended up hitting .233/.227/.442 with nine strikeouts and zero walks in 17 games. Spring training numbers aren't worth much and there's certainly plenty he could have done outside of actual games to impress the Twins' coaches, but when your batting average is higher than your on-base percentage and your strikeout-to-walk ratio is infinity that suggests there's some more development needed. Rosario also struggled at Double-A last season, missing the first 50 games while suspended for marijuana and then hitting just .237/.277/.396 with a 68/17 K/BB ratio in 79 games. Perhaps the spring hype surrounding Rosario was mostly driven by the team's lack of faith in Hicks and their hope that Rosario would step forward as an alternative. Instead they saw what his track record shows, which is a talented 23-year-old with lots of rough edges and zero high-minors success. Milone was horrible for the Twins after they acquired him from the A's for Sam Fuld on July 31, but it was revealed later that he was pitching hurt and needed surgery to remove a benign tumor from his neck. Prior to the trade Milone was a solid back-of-the-rotation starter, albeit one with mid-80s velocity and little upside. He's still relatively young at 28 and still relatively cheap at $3 million, but the Twins have younger, cheaper, higher-upside options in May or Meyer. Pelfrey made it clear that he's upset about being moved to the bullpen, saying the Twins never intended to make the fifth starter competition a fair fight. He might be right, but certainly there was no bias against Pelfrey when the Twins signed him for $5 million and then re-signed him for $11 million. He's given them plenty of reason for bias during the past two seasons by going 5-16 with a 5.56 ERA and getting hurt. Pelfrey is a 31-year-old former top-10 draft pick who's spent a decade in the majors without ever making more than two relief appearances in a season, so it's easy to see why he'd be against the idea of full-time bullpen work. However, given his lack of success as a starter, durability concerns following multiple injuries, and career-long inability to develop useful secondary pitches to pair with a hard fastball relief work may suit him best. Or at least less bad. He throws basically one pitch and that tends not to cut it as a starter, which is why Pelfrey has a 4.56 career ERA with 5.2 strikeouts per nine innings. However, being a one-pitch pitcher can be much less of an issue when you're only working an inning at a time and if Pelfrey can follow in the footsteps of many starters-turned-relievers by adding 2-3 miles per hour to his fastball the Twins might have something. Or he might just be a bad pitcher. You know, Occam's razor and all. May is 25 years old with 400 innings between Double-A and Triple-A, and amid an awful overall debut he posted a 41/9 K/BB ratio in his final 37 innings. Meyer is also 25 and started 27 games at Triple-A last season, leading the league in strikeouts. Neither is a can't-miss prospects by any means, but they've pitched well in the minors, throw hard while generating strikeouts, and unlike Milone or Pelfrey might actually be part of the next good Twins team. Tonkin and his mid-90s fastball are going back to Triple-A for a third straight season at age 25 despite being good there with a 3.48 ERA and 82/20 K/BB ratio in 78 innings and being good for the Twins when given a chance with a 3.26 ERA and 26/9 K/BB ratio in 30 innings. They opted to keep Boyer, a 33-year-old journeyman with a 4.63 ERA, poor control, and just 191 strikeouts in 274 innings who was signed to a minor-league deal in January. Spring training presented the Twins with plenty of opportunities to fill the margins of the roster with younger, unproven, higher-upside players, many of whom already have significant Triple-A experience. May and Meyer were viable fifth starter and long reliever options. Hicks and Rosario each could have started or platooned in center field. Tonkin could have taken his first extended shot at a setup role and there were also several other intriguing bullpen candidates. Instead they'll all keep waiting, often in Rochester for a second or third go-around, in favor of proven veteran mediocrity like Pelfrey, Milone, Schafer, Eduardo Nunez, Boyer, and Robinson. Barring last-minute changes the Opening Day roster will include a grand total of just four players who're 25 years old or younger: Designated hitter Kennys Vargas, shortstop Danny Santana, left fielder Oswaldo Arcia, and Rule 5 pick J.R. Graham. Twins will have to keep waiting too. 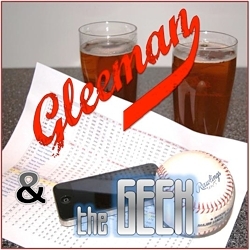 For a lengthy--and surprisingly heated--discussion of the Twins' roster decisions, check out this week's "Gleeman and The Geek" episode. • Faced with seven arbitration-eligible players, the Twins tendered 2015 contracts to everyone but Anthony Swarzak. Cutting ties with Swarzak makes sense given his lack of upside and mediocre performance in a low-leverage role, but in previewing their arbitration-based decisions last month Tommy Milone, Brian Duensing, and Eduardo Nunez also struck me as potential non-tender candidates. Instead they kept all three at a projected combined salary of around $6.5 million. Nunez in particular seems to serve little purpose given that he's 27 years old and hits like a utility infielder without actually being able to play defense like one. His projected $1.2 million salary is inconsequential, but it's hard to imagine the Twins not being able to find a better use of a roster spot. Trevor Plouffe and Casey Fien were no-brainers to keep and rightly or wrongly the Twins probably felt retaining Jordan Schafer for around $1.5 million was an easy call as well. In keeping six of the seven arbitration-eligible players and signing Torii Hunter for $10.5 million the Twins have around $90 million committed for 2015 based on guaranteed contracts, projected arbitration salaries, and minimum salaries needed to fill out the roster. That's already more than they spent in 2013 or 2014 and there's been little indication that a large increase in spending is planned for 2015. And the roster also looks relatively set barring trades. • In the wake of the Hunter signing Terry Ryan was asked again about defensive statistics and again downplayed their importance while reiterating that the Twins rely on their eyes to evaluate defense. Meanwhile, in losing 90-plus games each year from 2011-2014 the Twins' defense was 98 runs below average according to Ultimate Zone Rating, 107 runs below average according to Plus/Minus, and 115 runs below average according to Defensive Runs Saved. You can use the metrics or you can use the eye, and you should use both. In this instance, I think we've seen him play probably 30-35 games as an evaluation process this year, and for the most part the lowest grade we had on him was average range. That's pretty good. Twins scouts watched Hunter for 30-35 games and graded him average or better defensively, so that's what Ryan and the front office relied on rather than trusting the defensive numbers that all agree he was somewhere between bad and horrendous. By the way, Hunter had about two balls hit to him per game this year, so evaluating his defense based on watching 30-35 games is like evaluating a hitter based on watching 60-70 at-bats. It's one thing to pay little attention to defensive numbers if your scouting department is doing an amazing job evaluating defense with their eyes, but in the Twins' case that seemingly hasn't been true for a while now. Ryan saying "I would guarantee you he could go out and play center field for a couple days and you wouldn't really miss too much" about a 39-year-old Hunter is crazy talk and the type of thing that makes me question a whole lot about the Twins behind the scenes. • To round out Paul Molitor's coaching staff the Twins hired Butch Davis as first base coach. He spent 20 years coaching in the minors for the Orioles and joins pitching coach Neil Allen as the only coaches without previous Twins ties. Tom Brunansky and Joe Vavra were with Molitor on Ron Gardenhire's staff, Gene Glynn was Rochester's manager, Rudy Hernandez coached 14 years in the organization, and Eddie Guardado pitched 12 years for the Twins. • According to Darren Wolfson of 1500-ESPN the Twins reached out to fired Cubs manager Rick Renteria about becoming Molitor's bench coach, but "he rejected the overture immediately" and they eventually settled on Vavra. And according to Bob Nightingale of USA Today they wanted to hire Delino DeShields first base coach, but he chose instead to manage at Triple-A for the Reds and the job went to Davis. • Chris Colabello was dropped from the 40-man roster and claimed off waivers by the Blue Jays. He followed up a big April for the Twins by slumping horribly and getting demoted to Triple-A, and Colabello later admitted that he played most of the season with a significant thumb injury. At age 31 and with little defensive value it's hard to fault the Twins for giving up on Colabello after he hit .214/.284/.364 with a 124/34 K/BB ratio in 114 games. • Shane Robinson agreed to a minor-league deal with the Twins after spending the first nine years of his career in the Cardinals organization. Robinson has good speed and enough range to handle center field defensively, but he's hit just .231/.303/.308 in 452 plate appearances spread over parts of five seasons in the majors. He's shown a bit more offensive promise at Triple-A, but at age 30 he's strictly a backup option in what currently looks like a crowded outfield. 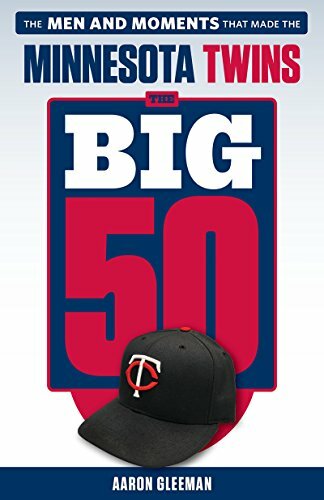 • Danny Santana played mostly center field as a rookie despite never playing there regularly in the minors, but Molitor indicated that the Twins view him as an infielder for 2015. That seemingly makes them more likely to pursue center fielders in trades and free agency--Schafer, Robinson, and Aaron Hicks are the current in-house options--and could mean Eduardo Escobar is headed for a bench role after being an above-average starting shortstop in 2014. • Willingham, whom the Twins traded to the Royals in August for minor leaguer Jason Adam, announced his retirement at age 35. Willingham had a great first year in Minnesota, but ended up hitting .232/.353/.446 and missing 116 of a possible 440 games for the Twins during a three-year, $21 million contract. Helluva career, though. Despite not getting his first extended chance in the majors until age 27 he posted an .823 OPS with 195 homers in 1,147 games. • Francisco Liriano, who posted a 3.20 ERA with 338 strikeouts in 323 innings for the Pirates during the past two years, re-signed for three years and $39 million. By comparison, the Twins have Ricky Nolasco signed for another three years and $37 million. • Hunter debuted for the Twins on August 22, 1997 by pinch-running for Terry Steinbach in a loss to the Orioles. In that game Molitor was the Twins' designated hitter, batting third versus Baltimore starting pitcher Scott Erickson. • This week's "Gleeman and The Geek" episode was recorded at Sociable Cider Werks and we talked Hunter, Hunter, and more Hunter.